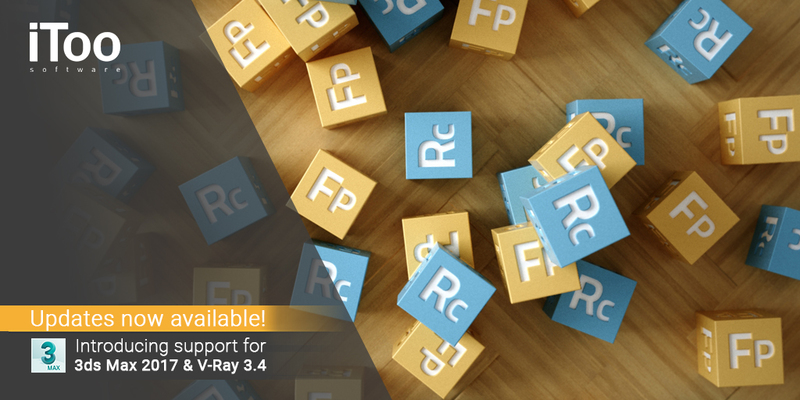 We are pleased to announce the release of Forest Pack 5.1 Lite and Pro, introducing support for 3DS Max 2017 and V-Ray 3.4 plus many other fixes as described in the release notes shown below. Registered users of Forest Pack Pro can download the upgrade from their User Panel->My Products. For any question about this release, please use the Forest Pack forum. - Added support for Max 2017. - Added option to customize Font Size for the Lister (see Options). - Actions of the Toolbar are available at "Customize User Interface" (within "Forest Pack" category). - Forest Lister is sorted by object's name. - All configuration keys defined at HKEY_LOCAL_MACHINE can be read alternatively from same branch at HKEY_CURRENT_USER. This feature lets you to create custom installations using non-administrative accounts. - Fixed invisible objects in V-ray when using VRayPhysicalCamera with motion blur or PhysicalCamera. - Fixed: Effects->Distance to area attributes don't return correct values at least that Area->Fallof is enabled. - Fixed bug with Animation modes in Mental Ray. - Fixed rare crash bug when using Animation modes and Display limits. - Fixed crash when rendering without license. - Fixed: Effects->dotprod function was decleared as vector instead real. - Fixed: Toolbar placed out of screen and not visible (see Note 1). - Fixed: Toolbar is not available after a Workspace change. - Fixed: Effects->random generator doesn't return consistent values in Custom Edit mode. - Fixed rare bug that would cause animated objects are not updated correctly. - Fixed: in some cases Forest Exclude Areas has no effect after the first animation frame. - Fixed: Forest doesn't update with changes of rotation or scale on Custom Objects, until scene is reloaded. - Fixed bug with XRef scenes binded to a rotated object. - Fixed updating issue with Effects using "max.time" property.